Smoothies are fast, healthy and delicious. You can take them for a quick breakfast or whip them ups as a nice snack. My good friend @ northofbloom.com has some great smoothie recipes on her site. 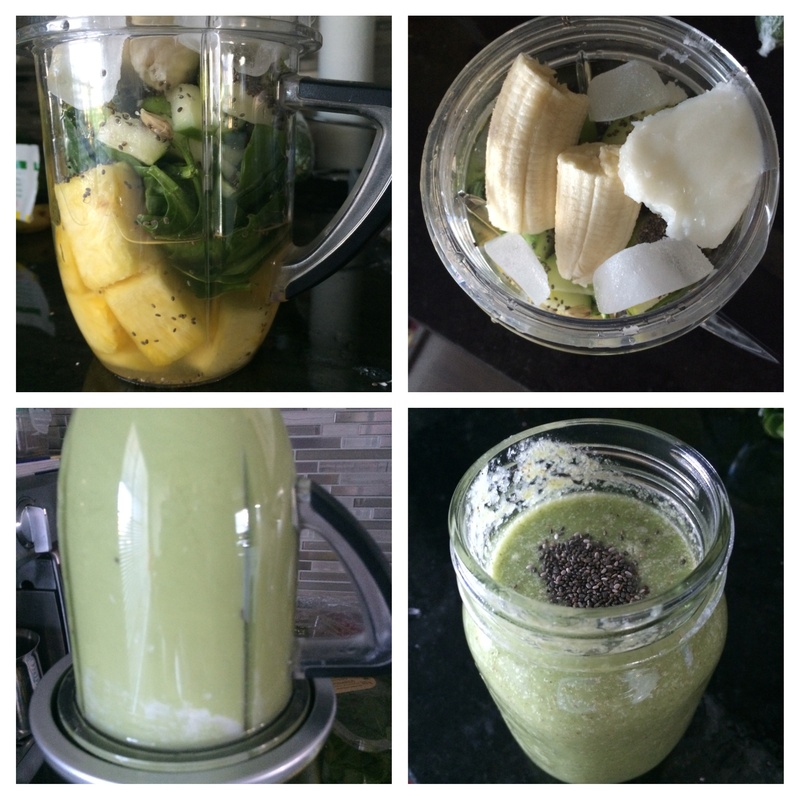 The smoothie pictured above is her green smoothie recipe which is super healthy and gives a great burst of energy. It is delicious and one that should be a mainstay in anyone’s smoothie repertoire. Sometimes, I make a slight modification to this smoothie and instead of using pineapple, I add mixed berries for some different flavours and nutrients. 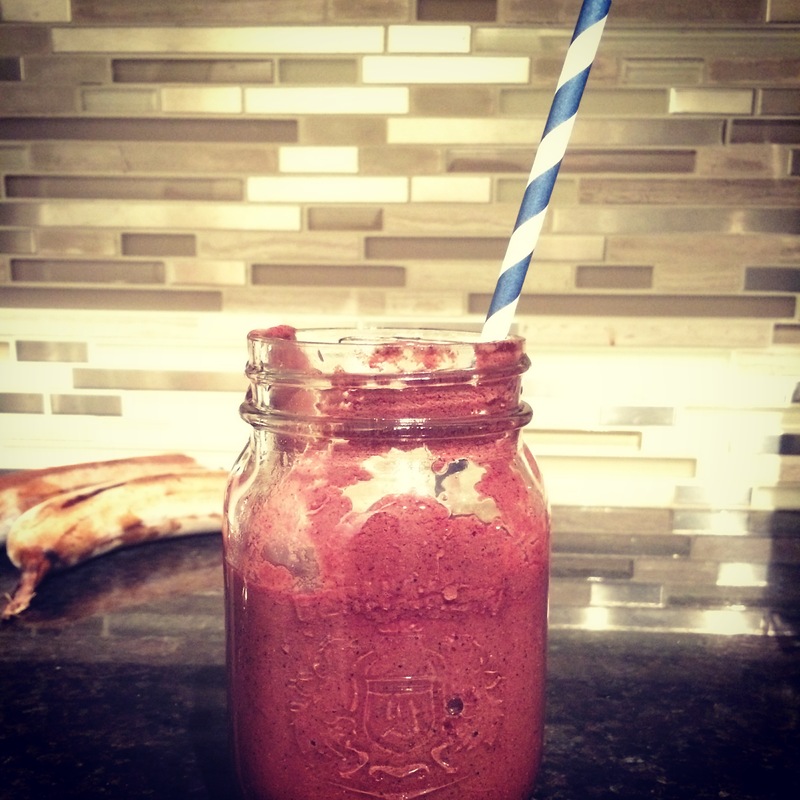 Another favourite smoothie of mine is one that I have dubbed the super berry bliss smoothie. It consists of bananas, mixed berries, about a cup of nut milk, goji berries and about a table spoon of almond butter. You can also add a leafy green but sometimes, depending on the ratios you add, this can make the drink look a little bit brown. Sometimes I add a little bit of maca powder or spirulina powder to add some additional superfood powers. There are so many great ways to incorporate smoothies into your every day life and endless recipes and combinations that you can try.